Oasis of the Seas (225,282 gross tons) and Navigator of the Seas (137,000 gross tons). Warships, such as the USS George Washington (above), are not measured in terms of gross tonnage but rather in terms of displacement. When people talk about the size of cruise ships, they usually compare the gross tonnage of one ship to the gross tonnage of another. Thus, Oasis of the Seas at 220,000 gross tons is considered a bigger cruise ship than Navigator of the Seas at 137,000 gross tons. Because the word “tons” is used in connection with this measurement, people often think that the gross tonnage is the weight of the ship. However, as Captain Herman Zini of Royal Caribbean explains: “The tonnage is not weight. It is a volume measurement. So when we are talking about the tonnage of a ship, we are talking about the volume inside." This measurement was developed in order to be able to assess a ship’s cargo carrying capacity. In fact, “tons” as used here is a corruption of “tuns,” an archaic term for casks of wine. Gross tonnage is a different standard of measurement than displacement. As Captain Stig Nilsen of Royal Caribbean explains: "Displacement is the weight of the water that a ship displaces. It is actually the weight of the ship." The displacement of an Oasis class ship is only about 100,000 tons whereas such ships' gross tonnage is more than twice that number. The size of a warship is often stated in terms of its displacement. 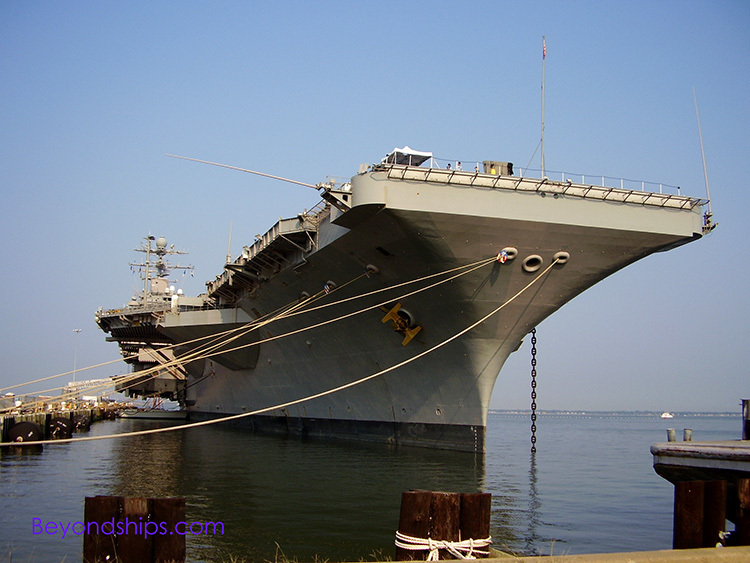 For example, the aircraft carrier USS Ronald Reagan has a displacement of 102,000 tons. However, it would be a mistake to conclude that the Ruby Princess is a bigger ship because she is 113,000 gross tons. It is simply an apples and oranges comparison. Similarly, gross tonnage is different than the ship's deadweight. Captain Nilsen continues: "Deadweight is the amount of load that we are allowed to take onboard. It is not that much for a passenger ship but for a cargo ship deadweight is very important." Thus, while Oasis of the Seas' gross tonnage is over 220,000 gross tons, her deadweight is only approximately 25,000 tons. The size of a cargo ship is often given in deadweight tons. Since the standard of measurement is not the same, it is inappropriate to draw any conclusions as to relative size based on a comparison of a cruise ship's gross tonnage to a cargo ship's deadweight. Again, it is an apples and oranges comparison. Cruise ship FAQs - - What is gross tonnage?